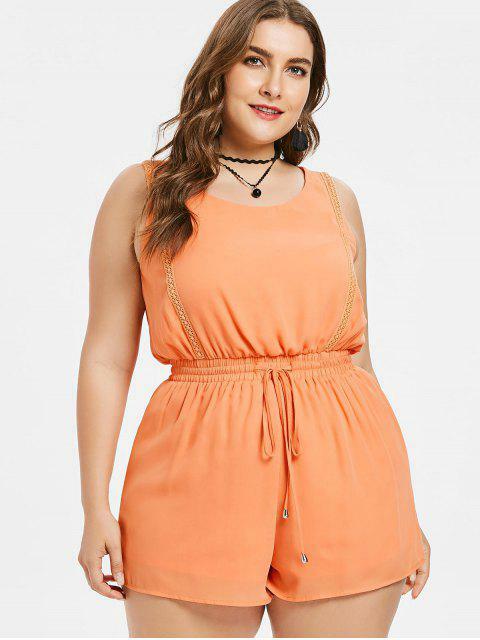 [45% OFF] 2019 Plus Size Drawstring Tank Romper In ORANGE PINK | ZAFUL .. Very cute and comfortable romper. The color is very vibrant just as in the picture. Perfect Spring romper. 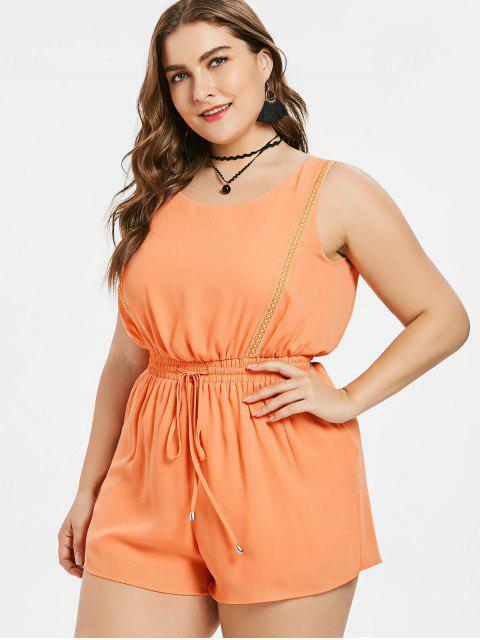 Designed with elastic high-rise waist with adjustable drawstring closure, this tank romper is an ideal piece for easy weekend strolling around the city. The smooth and soft fabric brings cool comfort and the keyhole at back shows off glimpses of skin for a classy look.